Now, if you look at 1 Corinthians 12 and 14 you can see the people in the church at Corinth had a real problem with thinking their gifts of prophecy or speaking in tongues or different languages made them somehow superior than others. That somehow their gifts made them more godly. And this attitude had some pretty dire consequences: they lorded it over those that didn’t have these gifts. Paul’s point in verse 8 is that those gifts and really everything else we experience here on this earth is temporary, but God’s love is everlasting. I mean, a lot of people have this idea that because I get up on Sunday morning and preach from the Bible that somehow I have a more direct line to God… but think about it… all of our spiritual gifts – things like preaching or teaching the Bible, those are for right here and now on Earth… those things are meant to help us understand our relationship to God, to develop faith in the face of our sin… but eventually, we won’t need that. When the Kingdom of God is completed here all those gifts won’t be necessary because we will literally be in the presence of God! It makes me think of my car… a 2004 Saturn Ion… I love this car! It’s the only new car I have ever owed and it’s got its quirks, like the driver’s side window doesn’t roll down, and every time I have ever tried to give someone a jump, within a week my battery will die… In order to get the car to start using my key, there is a specific set of instructions you need to follow… But I love it! We have had the car since it had 12 miles on it, and right now it is knocking on the door of 200,000! I think that is amazing! And it’s amazing because back in the 70s and 80s getting an affordable car often meant that you ran the risk of getting a lemon… An unreliable and sometimes dangerous vehicle. 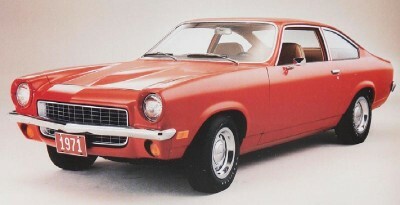 Cars like the Chevy Vega… The Vega was so unreliable that on it has been reported on its initial test run the front end completely fell off! This was the first time it went out to the track, and yet somehow this piece of junk made it to the market for people to drive! 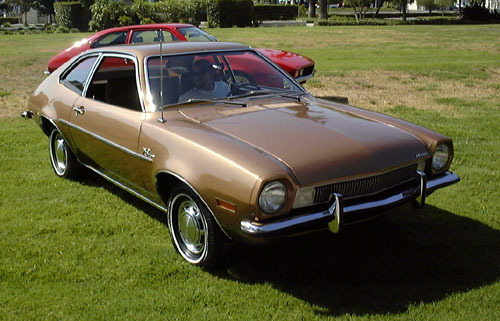 Or you have the king of all lemons… the Ford Pinto. This car is the poster child for bad cars (though some definitely disagree)… a few years ago Toyota had some lawsuits it had break failures, and that’s bad… but the Pinto was so bad that it became famous for blowing up if it was rear-ended! I mean little fender-benders became deadly! There are bad cars today… but our Saturn and a lot of modern cars like it are reliable. They last, they stand the tests of highways, and bumper-to-bumper traffic, and they remain safe. The way the world teaches us to love is to be ruled by our feelings. You know – you can “fall out of love” You can lose that “lovin’ feelin’” As the Righteous Brothers sang… and when that happens – it’s over. You don’t feel loving toward someone who was supposed to be a friend and that’s no problem – in the world’s economy. But not in God’s. God’s love and our love toward one another should have less to do with how we feel, and more about what we decided to do. “Love never fails” only if we are ruled by something higher than our emotions… and that’s our Holy Spirit-inspired decisions. Reflecting God’s love is not easy. It’s hard work… and it’s a decision that we have to make every day in the power of the Holy-Spirit… to be loving like that, and slowly we will be more and more godly in our relationships.